KANSAS CITY, Mo. — Catcher Brett Hayes has agreed to a one-year contract with the Kansas City Royals, avoiding salary arbitration. 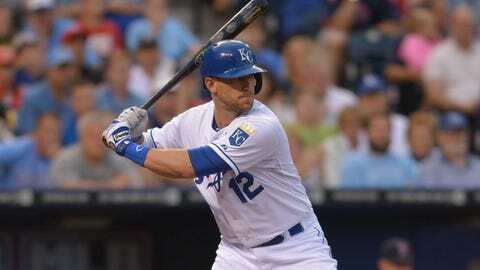 The 29-year-old hit .278 with three doubles and a home run in five games for the Royals last year and made $600,000. He batted .233 with 17 homers and 44 RBIs in 78 games for Triple-A Omaha. Kansas City claimed Hayes off waivers from the Miami Marlins in November 2012.